U.S. President Barack Obama and Cuba President Raul Castro made it official on Wednesday. They announced plans to re-establish diplomatic relations, 54 years after sanctions were imposed by the U.S. government in the wake of the revolution led by Fidel Castro. The two countries said they would re-open embassies in their respective capitols on July 20. U.S. Secretary of State John Kerry is expected to travel to Havana to raise the U.S. flag. Companies have had plenty of time to prepare what they might do in Cuba, if they got the chance. As long as 20 years ago, there was speculation that then-President Bill Clinton wanted to re-establish diplomatic ties and allow trade with Cuba. “There cannot be normal ties between Cuba and the United States as long as the economic, commercial and financial blockade rigorously applied harms and causes shortages for the Cuban people, ” the Cuban government said. And, numerous nations already have relationships with Cuba, especially Venezuela, Spain, Mexico and Canada. But it’s clear there will be numerous chances for businesses to invest in Cuba, and for entrepreneurs to find a niche where they can operate. Tourism. Havana once overflowed with American tourists, since it’s only an hour flight from Miami. More recently, it has depended on Europeans, South Americans and Asians for tourist business. 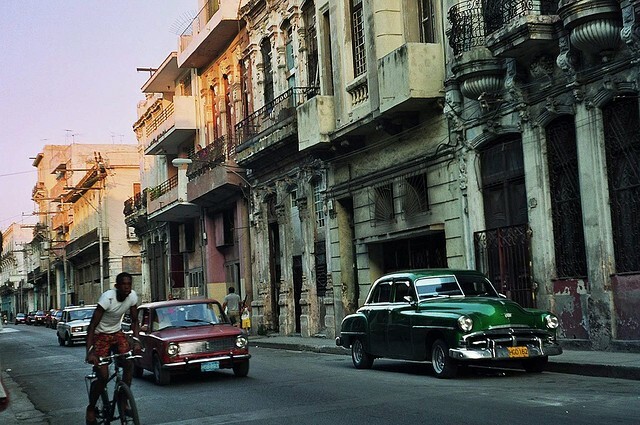 Numerous Americans are already making plans to travel to Havana and other parts of the country. There are plenty of hotels, many of them government owned, in Havana, and all-inclusive resort properties operated by big European hospitality companies in places like Veradero. An important question will be how much control the government will have over the influx of American travelers. Cuba requires a visa to visit, and limits the number of days a traveler could stay. Will the country loosen its restrictions now that relations are being normalized? Agriculture. Cuba’s sugar crop has long been its leading source of agriculture income, but the crop has plummeted in size from its heyday. Two-thirds of Cuba’s sugar mills closed after the collapse of the Soviet Union, its biggest customer, and it will only produce about 3.2 metric tons of sugar this year, compared with 8 million in 1990. Agriculture is about 30 percent of Cuba’s economy, and China is its biggest export customer. Whether the U.S. will step up and become its biggest customer again is an open question. Certainly, many American cigar connoisseurs are waiting for the chance to legally buy Cuban cigars in the U.S., instead of sneaking them home from Canada or Europe. Cuba has yet to develop a market for organic and small-crop fruits and vegetables, which might be a place that some entrepreneurs explore. Real estate. Havana and other Cuban cities abound with plantation-style homes, many in states of deep disrepair. And for years, ordinary Cubans weren’t allowed to participate in the real estate market. But, now they can buy and sell homes, and real estate investors, like Cuba Homes Direct, are offering properties for sale to foreigners. The Wall Street Journal recently reported that government authorities are looking at developing a luxury home market. For that to take flight, Cuba will have to upgrade all aspects of daily life, from the operations at Havana’s airport, to taxi and limousine services, to the availability of groceries and a steady supply of electricity. There’s nothing like the visitor amenities that exist in places like Cabo San Lucas or the Bahamas, for example. Cuba offers numerous economic story ideas. Find out which local companies are interested in investing there. Have your local universities put together study trips? Is Cuba opening a consulate in your city? And how do your local lawmakers feel about lifting the embargo?